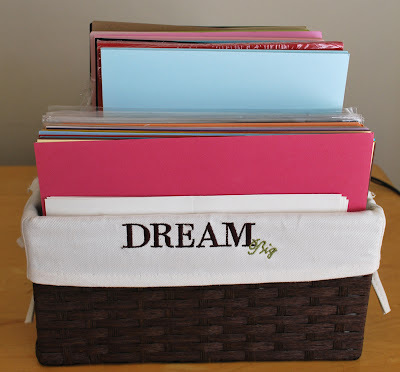 How do you store and organize your card stock? How do you store your scrap card stock? 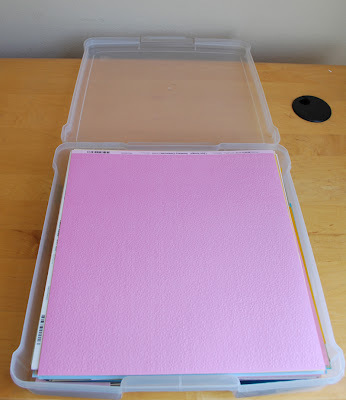 I don't buy a lot of 12x12 size card stock, since I make cards most of the time, but I do have some and I have a 12x12, or most likely it's a 13x13 IRIS container. Here is one of my boxes and I do a few of these boxes. For my card making I use mainly 8.5" by 11" size card stock, which nowadays my supply comes from the My Favorite Things Boutique. For these I bought a nice little container from Michael's and here is what it looks like in usage. It's not much, but it's always on my desk and easy to reach for, so it works for me. And finally let me share my easy storage method for my card stock scraps. 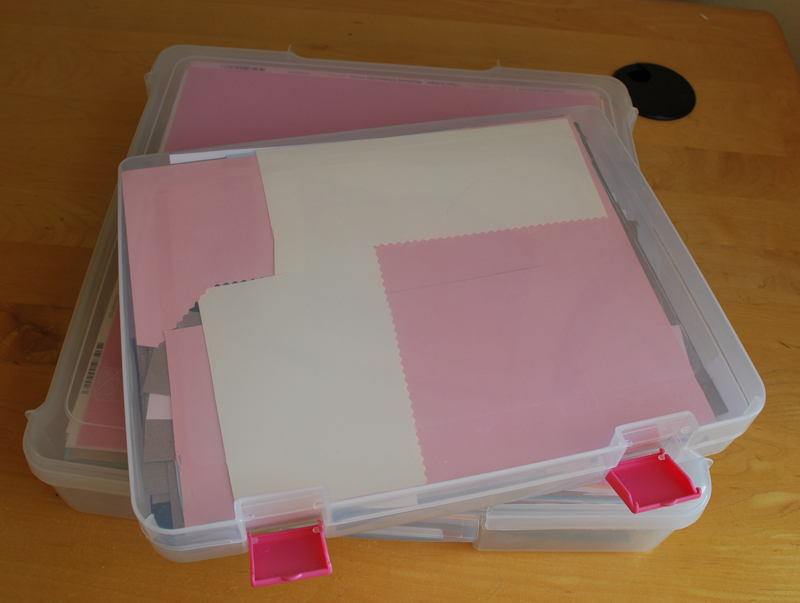 You might remember my Die-namics storage box? Well, I use the same kind of box for my scraps. Well, there you have it. It's not much as I told you, but this is my little method. Maybe it helps one of you. 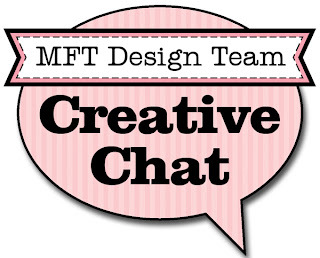 I am so excited to hop and see what the rest of our My Favorite Things Design Team members have to share about their card stock storage.